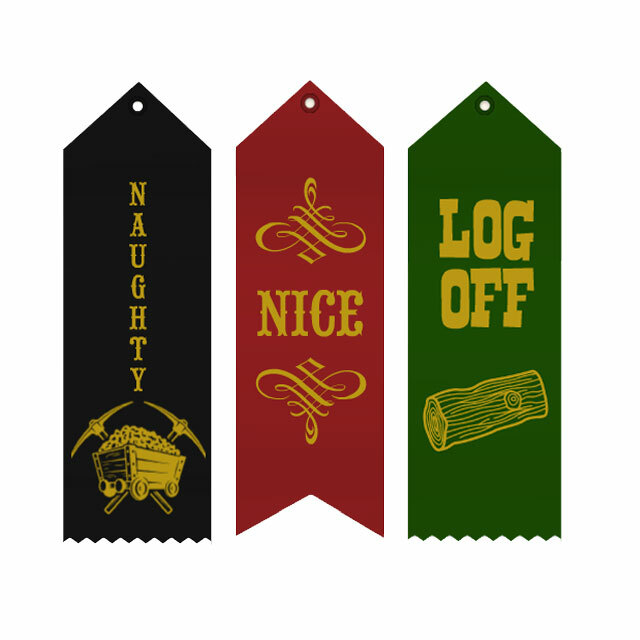 I'll be making more (non-holiday) ribbons in near future. I have TONS of ideas ("I survived my mid-life crisis!" with clipart of a dumpster fire, for instance). Now, if you have an idea for one, drop me a line. No guarantees it will make the final cut but I'm happy to entertain even the wackiest of ribbons. If I end up using yours, I'll send you one as a prize.